One business that I think you share an element in common with is the micro brewery. We've got one that popped up in Manly about 2.5yrs ago, and it's an interesting concept. When it first arrived, everyone suggested it would fail. The premises had seen many a brilliant idea come and go, Manly already had loads of pubs, and at $10 a pint, surely no-one would drink in there. But just like you are shoe salesmen/women, these guys never set out to open up a pub. They set out to open a beer appreciation society. The mechanism they chose was opening a premises. Cleverly, what they've done since is look at ways to expand the business through different channels that don't restrict the consumer to be onsite. They now sell bottled beer through a counter in the pub. You can also buy it from very select and local bottle shops. You can even buy a party keg which is dropped off in a little mook. 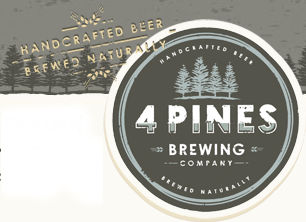 It doesn't matter how they sell it (within reason) as its all consistent with their motto of "hand crafted beer brewed naturally" - 4 Pines Brewing Company. There are two things that resonates with me and lots of the punters when you visit their premises. Firstly, in one corner behind a massive glass window is all the equipment that brews the beer. Common assumption is that to be a micro brewery, you have to have all that there. Not true. Well partially true, but most of it is for show, but it really sets the scene. Secondly, they have a massive chalk board wall which has the "hand crafted" and "complex/special" brewing process that shows your average punter how their beer was produced. You won't believe the number of visitors that get magnetised by that and love to go on telling the story, not just of the amazing beer they had but their fascination and knowledge with how it was produced. If you guys continue on your thought process to open up a retail store, I think there are some amazingly powerful messages that you can use to replicate parts of your process in the store and send strong messages to your customers about the experience they have with their shoes, rather than the single dimension of how good the shoes are. Some great ideas in this for us. Have you seen businesses take a similar approach where they take something relatively normal like a pub but turn it into something that offers a unique, fun, educational and interesting experience for the customer? cool story! reminds me of the Little Creatures pub, which i visited in Fremantle, WA. They have been around a bit longer than 4pines, but they have a similar story and they've got the big tanks and some equipment to show they brew on the spot. btw saw the pop up store yesterday at Vogue fashion night! Love this. You need to bring the how our shoes are made section to life with more than just text. I think you said you are doing a video! That's great. Did you go to the sake shop in Berkley, SF? They do similar thing. Remember you wrote about a butcher. Art and craft shops regularly have the artisan doing demos or actually making the product then and there. In India, they have slick salesmen showing you have the gems for the Taj were cut. They take you through the whole factory. Then give you a soda and sit you down in the show room. HAHA. Also, my friend runs Pure Fiji. They have an incredible day spa on the same premises as the factory. It really brings their product to life, seeing how they make it from pure ingredients. And how they use locally sourced packaging. You should check that out. firstly, i heart online retail and would want you guys to continue to have that option as a strong and successful option (which seems to be the case now). online retail is great because i can buy what i want, when i want...and it's for me. it's rare that i get the time to buy something for me, particularly yummy shoes, because the thought of getting two kids in the car, finding a park and then trying things on whilst trying to stop them from destroying the store, it's a sufficient disincentive that it only really happens when we are buying things for the kids. look forward to seeing what you decide. Hi guys, thanks so much for your comments. Matt - I've heard good things about the Little Creatures Pub also. I'd love to see it sometime. Sib - I never went to that sake place, but I think we could do a lot of things to bring to life the story of how our shoes are made in a store. As for the website, we filmed 3 hours of footage of a single pair of shoes being made on our last trip to China. Jodie's editing that footage down as we speak then we're planning to get the final version of the video put together professionally - we definitely want to show that video on our website! I think people will find it really interesting to see how the shoes are made, a lot of time and care involved, not a great deal of automation given the shoes are made one at a time and I think that's a great story for us to tell. Miak - glad to hear you like your shoes and thanks so much for your thoughts. We had been thinking along exactly the same lines as you in regards to the leather samples. We've actually got leather boards done up with samples of all our leathers in photo frames and we've been taking those along to things like Sydney Fashion Weekend and bridal fairs and they work really well. That's definitely something we'd like to replicate in a store. We were also thinking of having samples things like all our heels and shoe decorations both in interesting displays, so people can really get in there and touch and feel some of the elements they'll be using in their designs. In that way I think a physical store would really compliment our online offering - as you suggest, being able to see and touch the leathers and elements of our shoes in store would make you more confident about what you're going to be ordering online.